A beautiful death, with grace and the best quality of life possible, is what we all wish for. Consumer Reports end-of-life guide will teach Americans how to achieve this. A good death can be hard to achieve without advance planning according to a new End-of-Life Guide, including survey findings on how Americans want to die, and published in the December issue of Consumer Reports and online at http://www.ConsumerReports.org/EndOfLife. The report and accompanying 17-minute video documentary chronicles the last months of Paul Scheier, an 87-year-old retired dentist from Orchard Park, N.Y., who succumbed to lung cancer – doing so under the conditions that he outlined in advance – in his own bedroom with his wife of 62 years, and their four grown children, at his side. Consumer Reports highlights the choices Mr. Scheier and his family made to ensure that his wishes were carried out. The report also includes results from a recent Consumer Reports survey of 2,015 adults which found that 86% of Americans would want to spend their final days at home and receive end-of-life care there. Only 36% said they’d want to receive that same care in a hospital setting. Perhaps most surprising: only 47% of seniors over 65 have completed an advance directive, also known as a living will. And 61% of those polled have never heard of palliative care – the use of medication or other therapies to ease the pain and symptoms of disease but not to heal it. Consumer Reports advises that it’s crucial Americans think about end-of-life concerns long before a crisis arrives. The most effective way to enforce end-of-life wishes is to create an advance directive or a living will and to appoint a health care proxy. 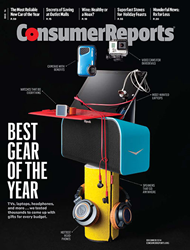 Consumer Reports offers the following checklist. Start Now. It’s never too early to prepare an advance directive and designate a proxy. Even children as young as 18 should complete one: Once children reach 18, parents have no legal authority to make medical decisions for them unless they are the health care proxy or a court-appointed legal guardian. You Don’t Need an Attorney. Complete a living will and appoint a health care proxy on your own. Get state-specific forms at caringinfo.org. Note that the site uses the term “health care agent” instead of “health care proxy,” but they mean the same thing. Prepare the Paperwork. Complete several originals of your living will and other legal papers, with original signatures. That can include a Do Not Resuscitate order, or DNR, which instructs health care providers not to perform cardiopulmonary resuscitation (CPR) if breathing stops or if the heart stops beating. Keep Documents Close and Available. An advance directive locked in a safe-deposit box won’t help in an emergency. Give copies to your health care proxy, your family, and your doctors to add to your medical record. The American Bar Association has an app called My Health Care Wishes (Android and iOS) that lets users store advance directives and related legal documents on their mobile device. Discuss Your Wishes. Talk with everyone in your family, not just your health care proxy. They may have different perspectives about your care, which can complicate matters if the advance directive is ever activated.